Annapolis Propane & Fuels Proudly Serves The Communities On The Western Shore of Maryland! Are you looking for propane on the Western Shore of Maryland but have no idea where to go? Make your way to Annapolis Propane & Fuels, your local propane provider in Maryland! 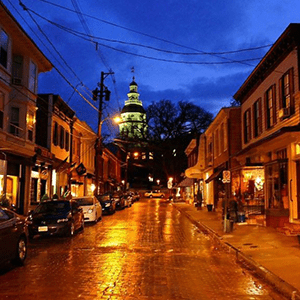 We are proud to serve the various communities on Maryland’s Western Shore (including Annapolis, Lothian, Davidsonville, Baltimore, Dundalk, Pasadena, and Ellicott City ). It is our mission to give you unparalleled customer service all of the time and deliver your fuel to you as quickly as possible. You can always rely on the professionals at Annapolis Propane & Fuels, your local choice for propane in Maryland to meet your heating needs. Thanks to our years of experience, we know exactly how to ensure you always have the propane that you need. We also offer a variety of propane plans, including our most popular plan The Promise Plan, and delivery options. And we’ll help you select the best one for your situation. Our delivery trucks are clean and equipped with the necessary components to service your home. And with Automatic Delivery and a “No Run-Out Guarantee” as options. So what are you waiting for? You deserve only the best service and that is exactly what you will find at Annapolis Propane & Fuels. Contact us for your propane needs today!